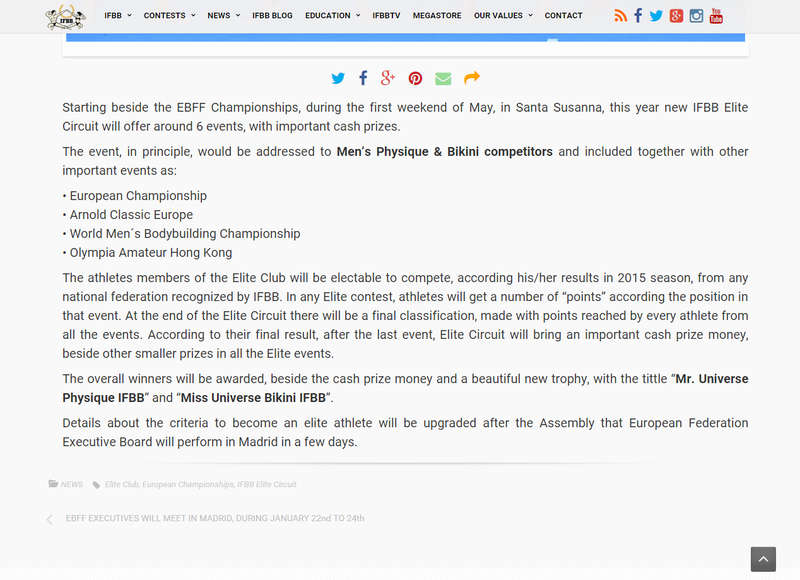 Got a news letter from IFBB yesterday about this new league for 2016. It’s a league for the top amateurs in Men’s Physique and Bikini Fitness. There will be 6 competitions with start at the European Championship in may. They later removed the blog post about it from ifbb.com so we will have to wait and see if this will be a reality this year. This is for sure something I would like to go for this year!